I’m a sponsored Clorox® Influencer, but all opinions are my own. Please see below for additional disclosure. Do you have a piece of clothing that you just can’t part with? Maybe something that was part of a defining moment in your life? A prom dress? A letterman’s jacket? Or maybe a teeshirt that you bought at your first concert? For me, it is two simple scarves. They are 22 years old and I can’t throw them away. 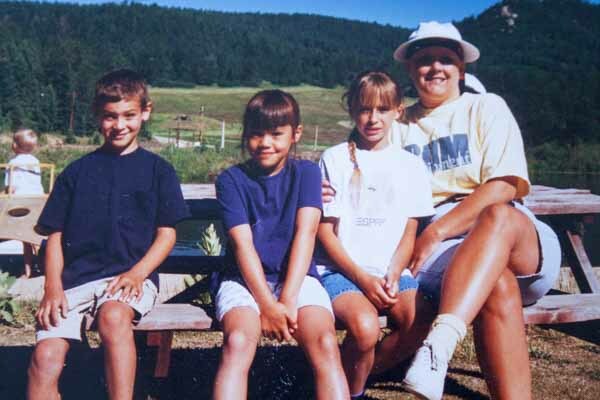 It was 1995 when I was diagnosed with an aggressive form of breast cancer. I had three young children and underwent 6 weeks of radiation, a double mastectomy and almost a year of intense chemotherapy. I lost all of the hair on my head, most of eyebrows and eyelashes but I never lost the hair on my legs. You would think that if there could be ONE perk about having cancer, that it might be that I wouldn’t have to shave my legs! But shave them I did. I wish that I had taken way more pictures of myself during that time, but I only have two and I treasure them both. While going through this experience I didn’t want pictures taken of me without my hair but now I wish I had more to document that time in my life. Here I am with my three littles. My hair is completely gone in this picture and if you look closely under the white brim of the hat, you can see the scarf that I used to wear. I never wore a wig. It was much too hot, itchy and slippery! Losing my hair was one of the hardest things I had to experience while going through cancer. 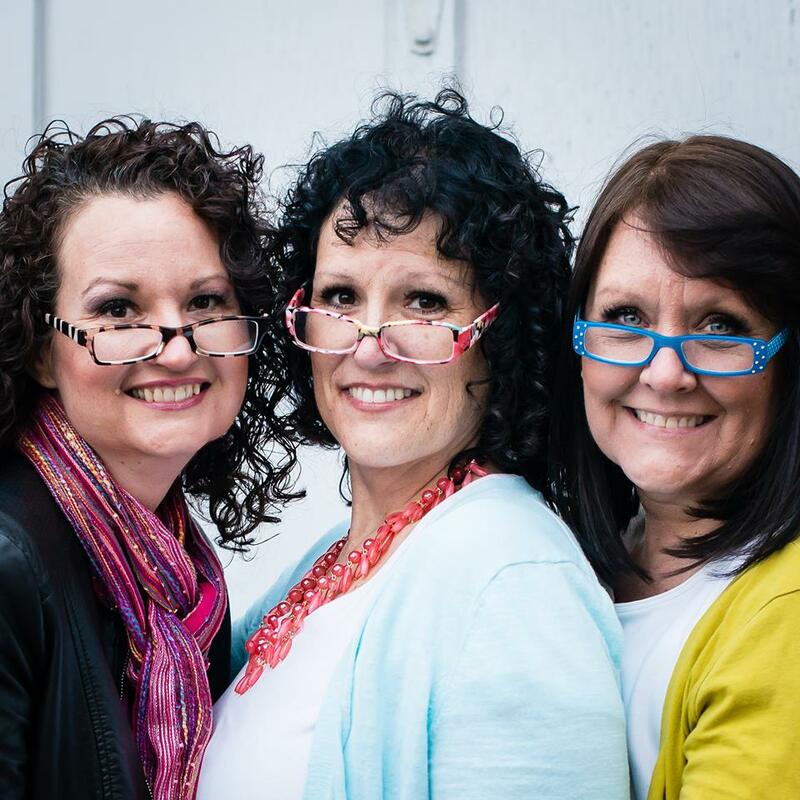 Your hair frames your face and it’s one of the first things that people notice about you. Wearing my scarves became who I was. They became a trophy in my victory of surviving cancer and in now being 22 years cancer free. They remind me that I can do hard things and they remind me to appreciate all that I have in life. When the time came that my chemotherapy was over and my hair started to grow back, I was hesitant to remove my scarves. It was almost like I was putting away a part of myself that I never wanted to forget. So I keep my scarves because it’s a way of keeping my memories bright. Every once in a while, I bring my scarves out and give them a good washing. 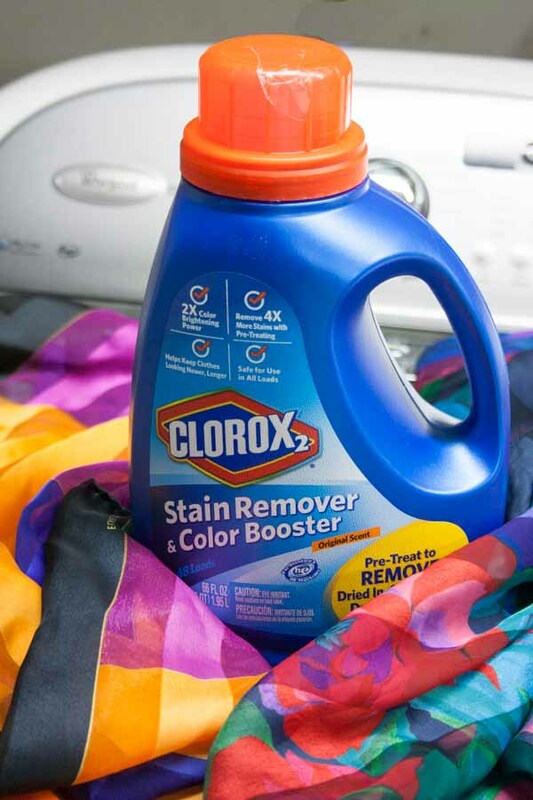 To keep their colors bright, I use Clorox2® Stain Remover and Color Booster. They look as good today as they did 22 years ago. Even old clothes can stay looking new with the help of Clorox 2. I just toss my scarves into my washing machine and add the Clorox2 along with my favorite detergent right into the wash basin. For best results, start the washer and add both your detergent and Clorox2 before adding your clothes. Using Clorox 2 extends the life of your wardrobe and keep your clothes looking newer longer. Just take a look at my scarves! Keep your memories alive and bright by using Clorox2 so you won’t have to part with YOUR special article of clothing anytime soon. Giveaway ends 2/23/17 . One lucky winner will be notified by mail. Must be 18 to enter.